Looking for something fun to do in San Francisco for your next big outing? Celebrate your birthday, friend’s bachelorette party, or group get together in style! 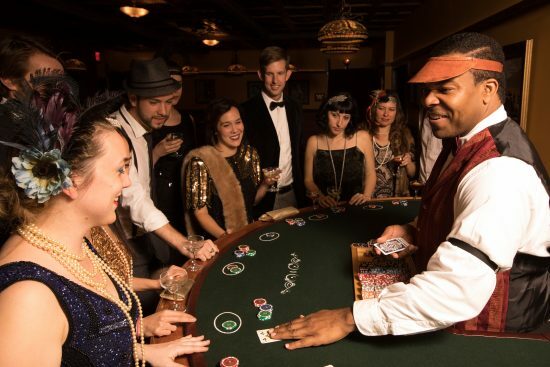 Reserve a couple of booths and enjoy the Cabaret performance or head over to the Casino for a little gambling and mischief. Bump gums and sip top shelf hooch in our hidden bar within the Speakeasy, the Gas Lamp Lounge. 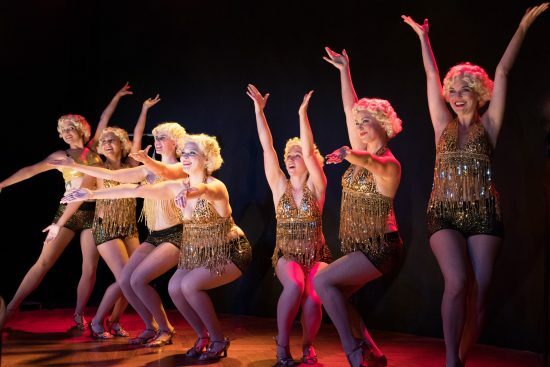 Cut loose with the chorus girls and learn “The Charleston” when the Cabaret is transformed to a high octane gin-fueled romp of a dance party. And if it’s the immersive theatre and character storylines you’re after, head over to the main bar or one of our secret rooms where you can voyeuristically experience all the drama unfold. Just remember to speak easy in those rooms! Our Celebration Packages offer a variety of fun and exciting additions to help make the night dazzling and unexpected. From photos to bubbles to chorus girls popping out of cakes! If there’s a reason to celebrate then we’ve got just the thing to make the night hotsy-totsy! Have your cake and eat it too with a birthday celebration you won’t forget! Indulge in a decadent Sacripantina cake from San Francisco’s legendary Stella Bakery and raise a glass for a toast with a bottle of champagne. Enjoy the casino games with a group of close friends and be delightfully surprised with a special birthday present from Sal. Before the knot is tied, hit the town and create some lasting memories with your closest friends. Enjoy the gaming tables with double stacks of casino chips and toast the guest of honor with a couple of bottles of champagne. You’ll laugh and smile the night away as you have your picture taken at our Man in the Moon photo booth and watch the Cabaret show in a reserved VIP booth. It will be a night to remember! 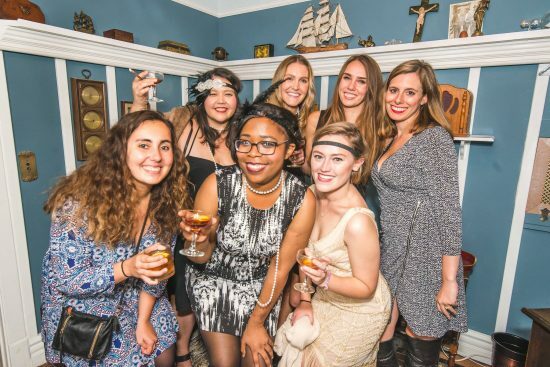 "SF Speakeasy was fantastic. Had husband's 60th Birthday party there and we were totally Immersed in the 1920's. " "We had a blast. Thank you for making my husband's birthday fabulous and memorable. We recommend this spot to all those looking for something fun and out of the box to do in the city." "This was the most memorable and fun things I've ever done with my friends." "Celebrated my birthday in 1920s style at the Speakeasy SF. 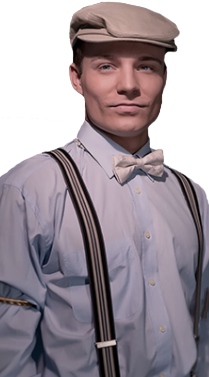 I really enjoyed this unique, immersive experience especially since I love dressing up and getting into character." "It doesn't matter if you are on a first date, rekindling the romance in a stale relationship, celebrating an event, or just going out with friends, this is a Five-Star all-around experience." "Perfect for birthdays or friends in town. Very interactive. Loved it. " "My husband surprised me with this (as best as he could, since I had to get a costume and get dressed up) for my 50th Birthday. It was OUTSTANDING! " "I noticed the big groups seemed to have an especially raucous evening, so I would recommend it if you have guests from out of town, or want to do something special for a birthday." "Wonderful experience. Came here for a friend's birthday not knowing what to expect. They do an AMAZING job." How should we set up our bar tabs? We provide the option to keep all of your friends on one tab or everyone to set up their individual tabs before arrival. You will receive a link to set up bar tabs 3 days before your scheduled performance. Forward that link to your guests and they can set up their own tabs. What about reserving seats for the Cabaret? I know this is a show, but what if we want to talk? The Speakeasy is a performance, throughout the evening there are breaks in the action in different rooms. The Gas Lamp Lounge is also another great place to go if guests feel like socializing. It is a secret bar within The Speakeasy accessible to anyone during the show. It provides relief for patrons looking to get away from the action of the play. It is also available to rent for private pre-show and post-show receptions. Is the venue available for a full buyout? Yes! 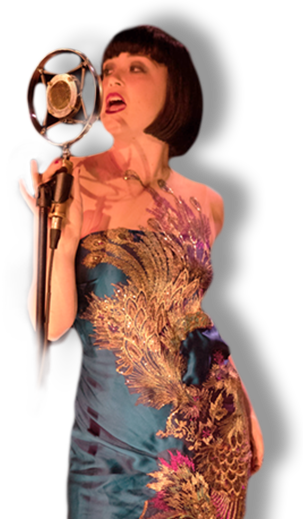 The Speakeasy is available for full show buyouts – perfect for a milestone celebration! Please call our event rentals team at 415.891.9744 or email us for more information. Is the venue available for a pre-show or post-show reception? Yes! The Gas Lamp Lounge is available pre-show and post-show for private receptions. Please call our box office at 415.891.9744 or email us for more information. Except for wine, outside alcohol is not allowed. A corkage fee of $75 will be charged for each bottle of wine. Please notify the box office before arrival, so that we may accommodate you. We offer a Sacripantina cake (A vanilla sponge cake with custard, cream and rum) from Stella Bakery. If you’d like to bring in an outside cake let our box office know. There is a $35 cake cutting fee. What if we want to gamble in the casino? For large groups, we suggest you pre-purchase your casino chips. Stacks of casino chips are available for $10 each. Our gambling is for entertainment purposes only; you can not win real money. Do you offer any extra special perks or interactions for our guest of honor? There are a variety of ways to celebrate the guest of honor. Our High Roller Package puts your honoree in the spotlight. There are also VIP Costumed Characters that guarantee interactions and come with additional benefits. Call our box office at 415.891.9744 or email us for more information and assistance in booking.